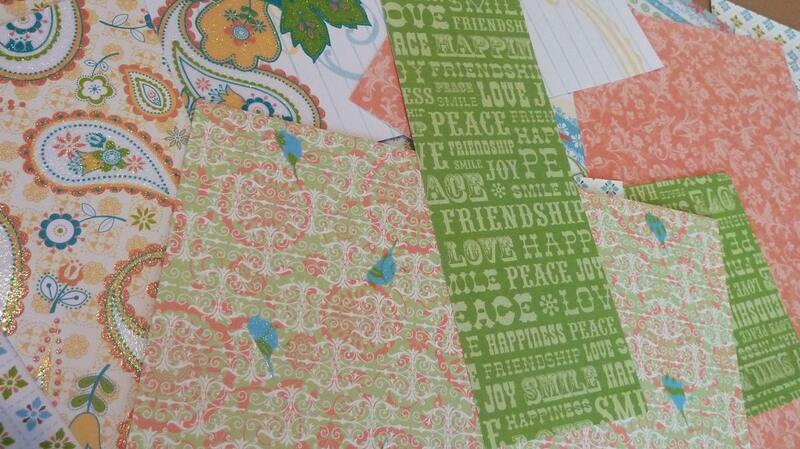 I really like to write in visually appealing notebooks but they are so much more expensive then the plain ones. Here is a solution for free. 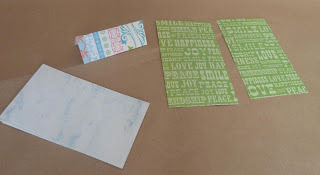 Take your scrapbook paper scraps and a few sheets of plain white paper (or any paper of your choice for that matter) and turn then into pretty little notebooks. 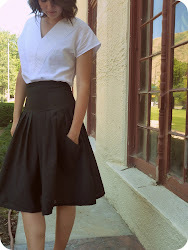 If you can sew a straight line on your sewing machine you can make these. 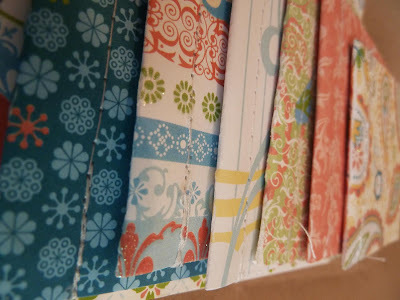 Look through your scraps and decide what size notebooks you want to make. 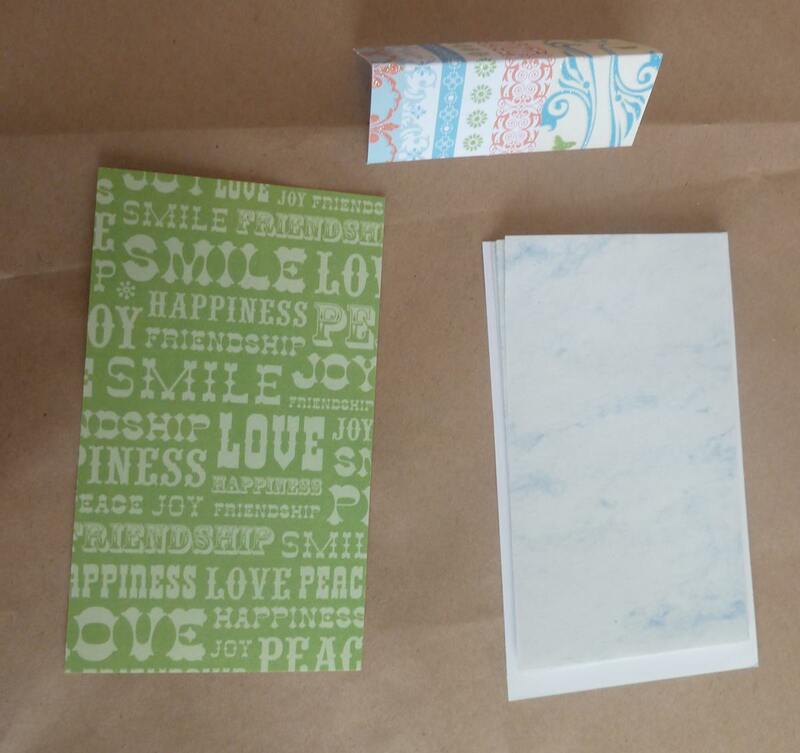 In the photo below I have two separate pieces for the front and the back and one more small piece to place on the top. Cut you paper about 1/4 inch smaller than the finished notebook. Stack all your layers together. Place the top portion on the finished stack. 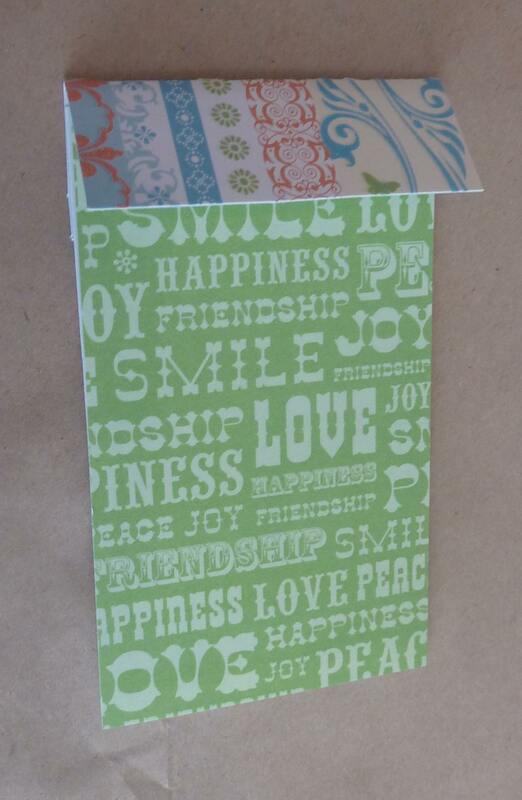 In the photo below I have cut one piece of paper for the front and back and just folded it in half. In this case I didn't put a top portion on. Take your finished stack to your sewing machine and stitch it together. I lengthen my stitch to the longest possible and back stitch a few times on each edge to prevent the thread from pulling out. Sit back and enjoy your new supply of pretty little notebooks. Stick them in your pocket, purse, car, desk.... you get the idea. Now when you have a brilliant idea you can write it down. I have a vivid childhood memory of sitting next to my Mom while she made larger versions of these out of lined paper and construction paper. 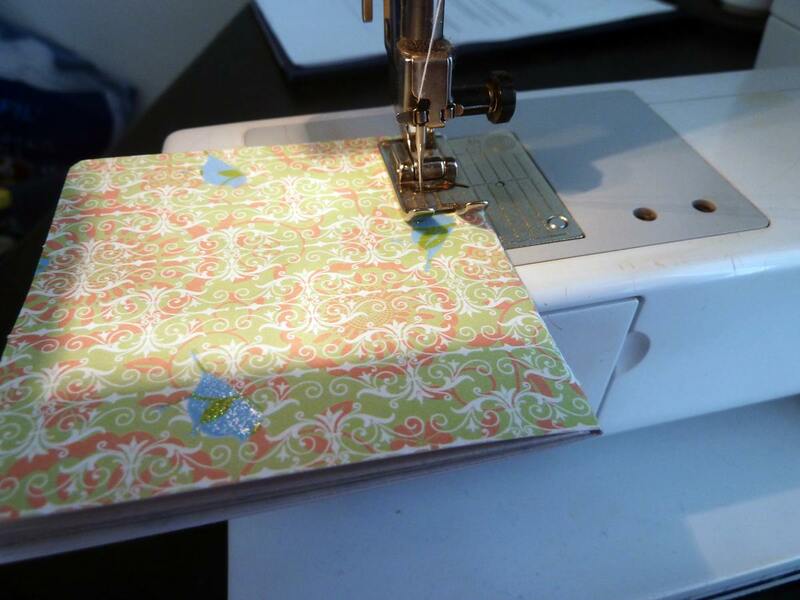 She would always make us a few stitched notebooks in preparation for a road trip. My girls (10 & 8) can even make these for themselves. Yes! I've done this for my kids too! Fun memories! 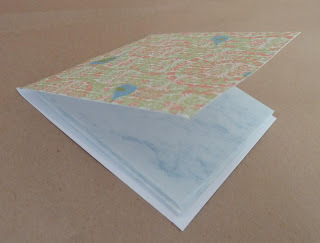 I like to make little notebooks out of cute birthday cards too and sew or just staple them to make little books for them to color in. What a fun idea! 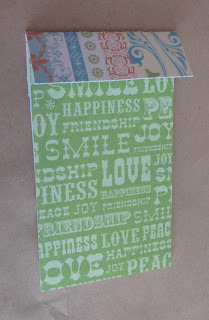 I love writing in cute notebooks too! Gorgeous notebooks! 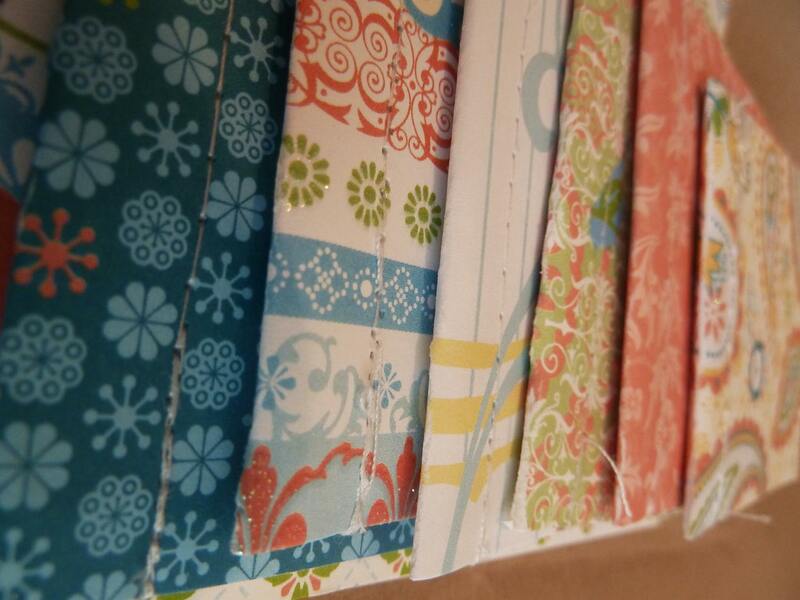 You can never have too many pretty notebooks! Very creative! 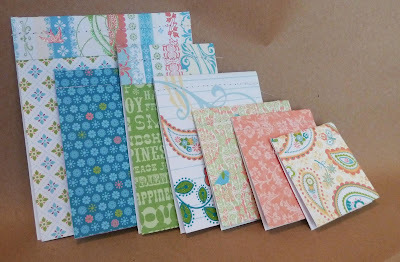 I love pretty notebooks, and my girls would love some of these, so they're going on my to-do list. Thanks! I'm teaching my 8 year old son and 5 year old daughter to sew and this would be a perfect project! These look wonderful - would make great favors! This is a really fabulous idea! What great gifts these would make. Love the fabric choices! Thanks for supporting my link party with this!